Art lovers can list history's most important art objects, but what many don't know are the dramatic, funny, and sometimes bizarre stories behind these most famous works. Spanning the last 500 years of art history, this book revisits fifty momentous events that changed the course of art--days when now world-famous works like Michelangelo's David or Marcel Duchamp's urinal were unveiled for the first time. In Key Moments in Art, chance meetings spur artists to create exciting new styles such as Impressionism or Cubism, landmark performances take place, and revolutionary exhibitions open. The book also looks at fights, lawsuits, auctions, and crime-from the theft of the Mona Lisa to the day van Gogh's Sunflowers become the most expensive painting ever sold. Working chronologically, this addition to the Art Essentials series gives readers fifty bite-sized stories from the art world. Art historian Lee Cheshire breathes new life into favorite works of art by giving them context and sharing the gossip they created. 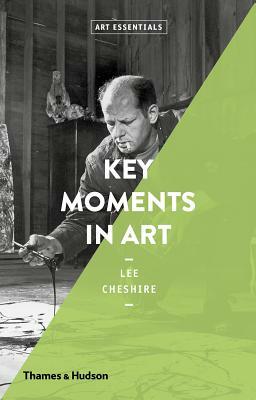 Complete with Art Essentials' signature sidebars, featuring key artists, collections, and events related to each moment, this book is perfect for the art devotee as well as the occasional museum visitor.